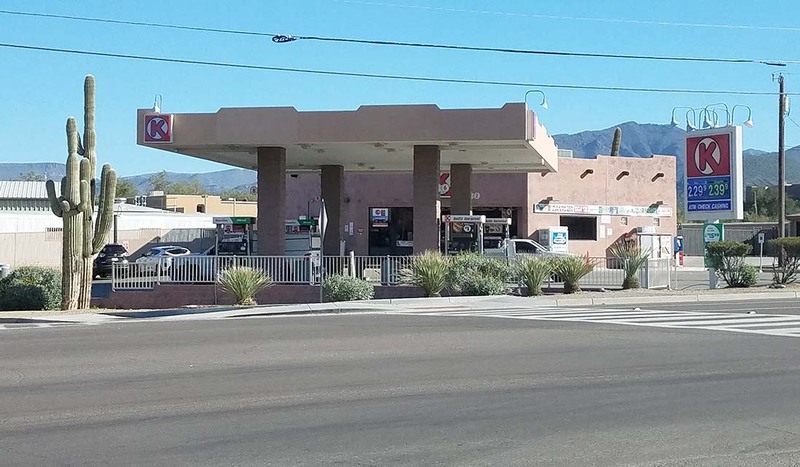 CAVE CREEK – At around 4 a.m. on Thursday, Feb. 23, three unarmed men, all believed to be Caucasian, entered the Circle K store at the corner of Cave Creek and Basin roads. The larger of the three escorted the clerk into the store’s bathroom, where he kept her, while the other two removed the entire lottery ticket case from the counter and took only loose packs of cigarettes from the behind-the-counter display case. The suspects apparently took no cash and did not harm the clerk. According to Maricopa County Sheriff’s Office Capt. Kip Rustenburg, the store did capture some good high definition video of the three men and MCSO will attempt to match the suspects through its facial recognition database.